I have long held that replacing the lettuce on a standard BLT with cheese was a vast improvement. Better flavor and it’s not like lettuce has any value anyway. 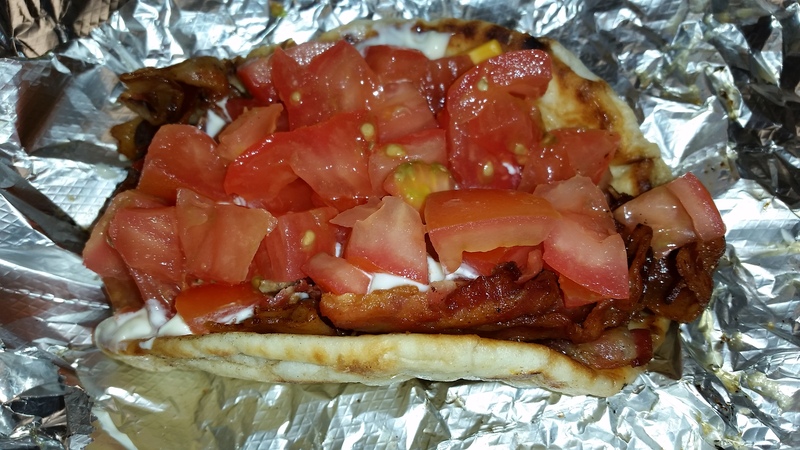 @NicksGyrosMentor offers a BLT on a nice fresh pita rather than a stack of dry toast. I must say, I like the idea! It doesn’t hurt that use a heap of excellent quality bacon either. Combining these 2 concepts into a BLT Pita with cheese and mayo (hold the lettuce) may be the most perfect combination possible. Lower carbs, loaded with nutrients from the tomato and bacon, now with dairy in the form of cheese, what’s not to love? Previous PostIf I studied at Hogwart’s…Next PostDeep! Deep! Dish!